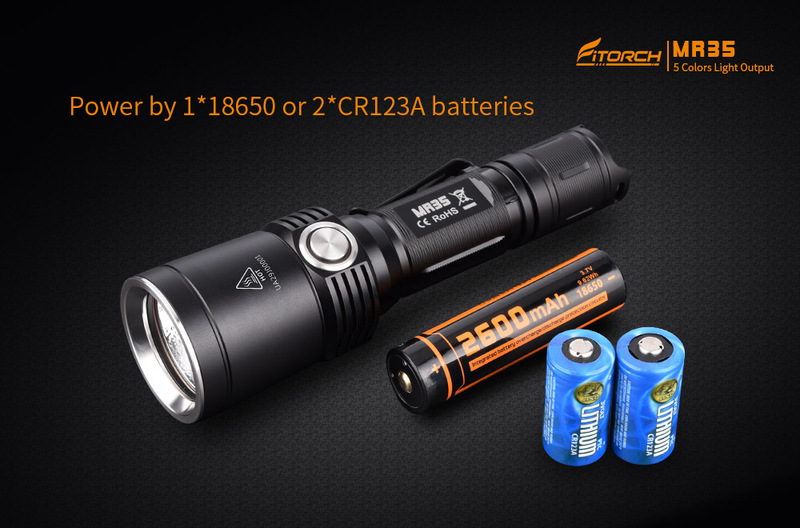 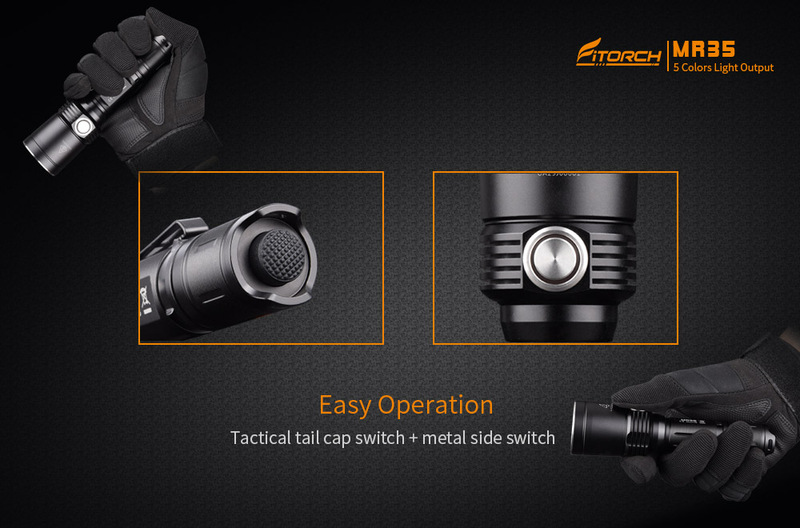 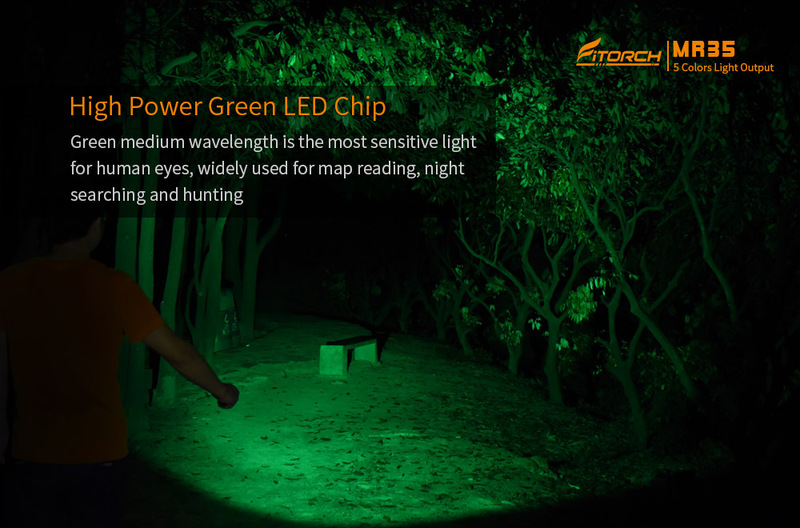 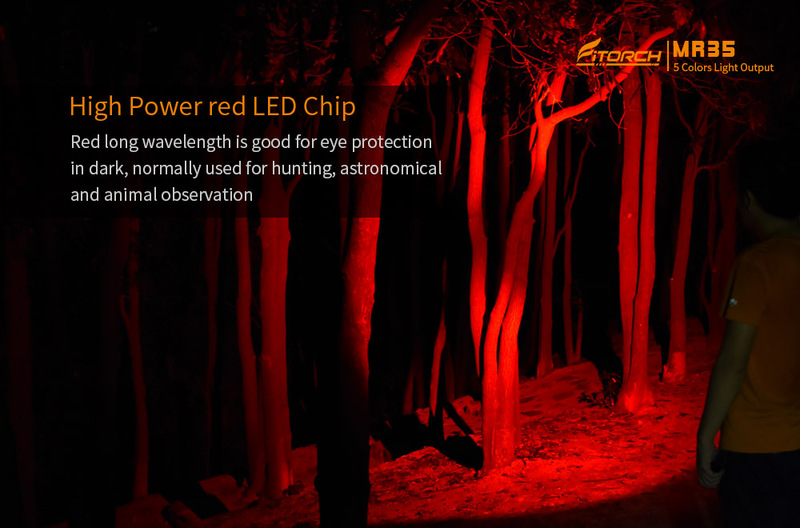 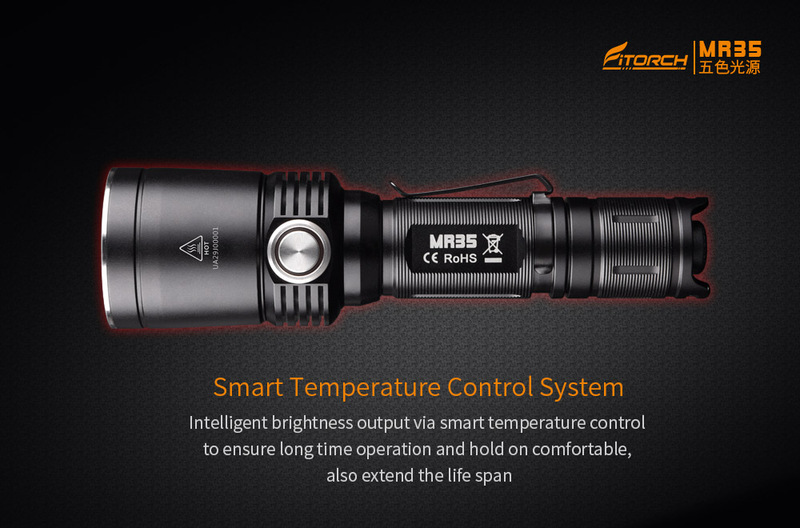 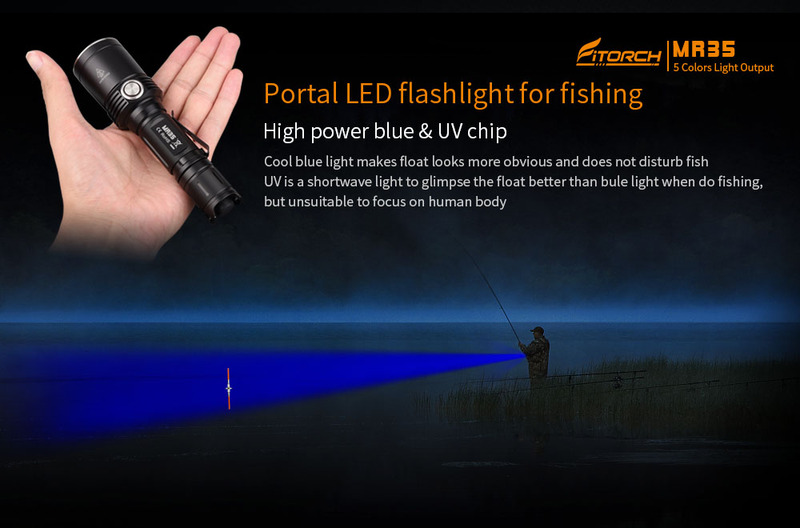 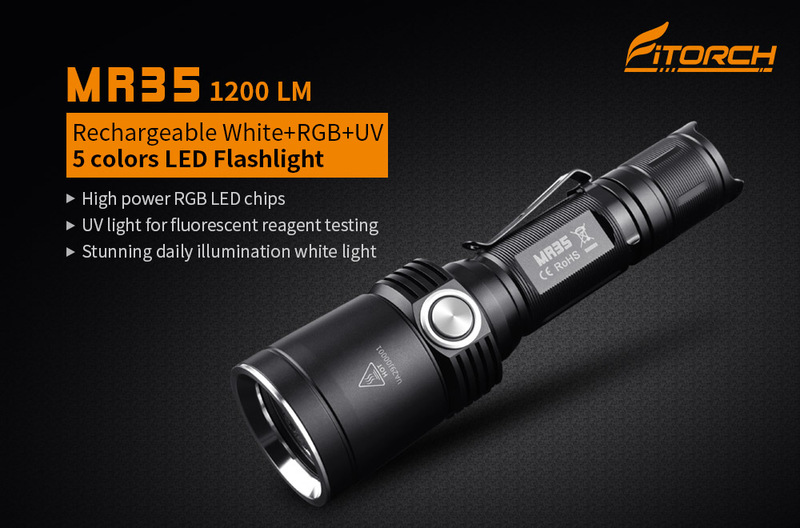 MR35 is a White+ RGB(high Power chip)+UV 5 separate LED chips combined and centred, compact tactical flashlight with a stunning 1200 lumens maximum white output and emits high bright RGB light , It's ideal for map reading, hunting, riding, camping and outdoor activities. 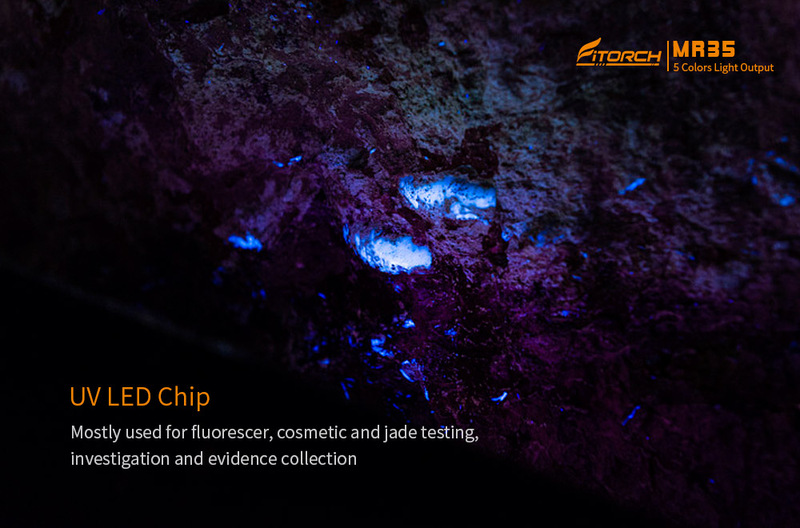 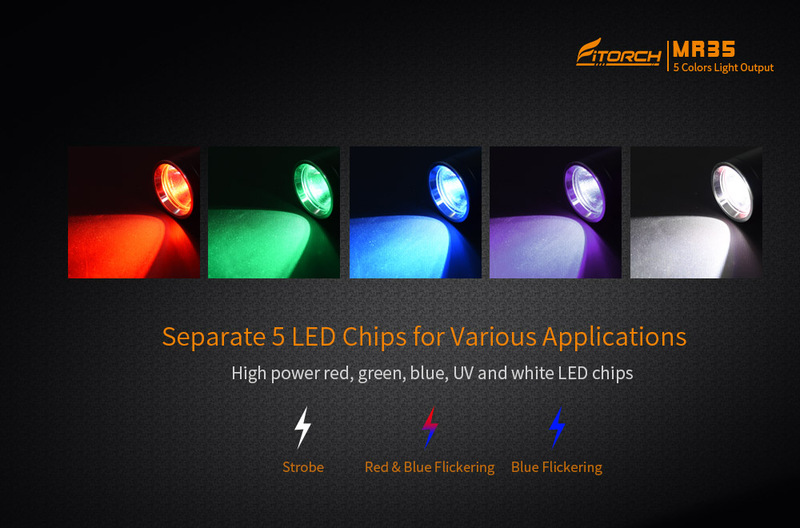 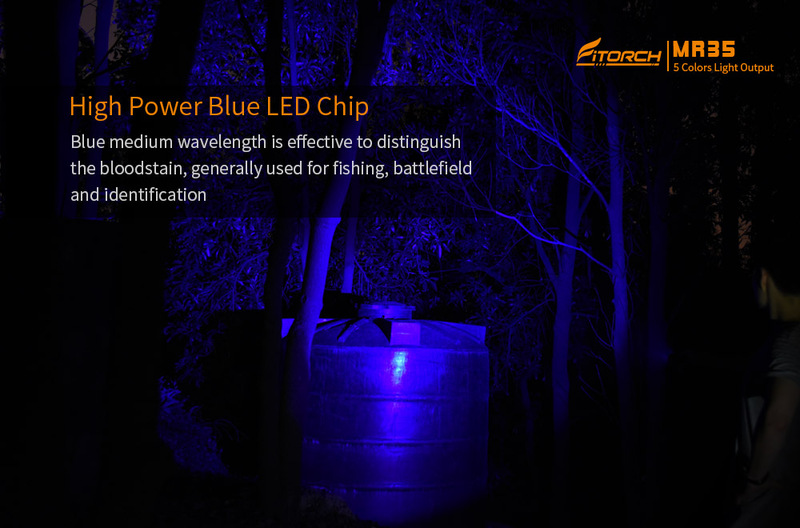 * White+RGB+UV LED high power chips combined. 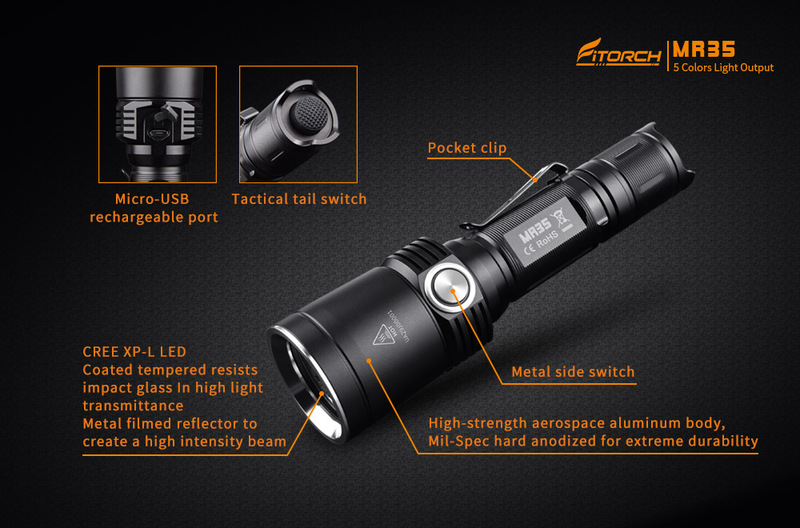 * Metal reflector to create a high intensity beam. 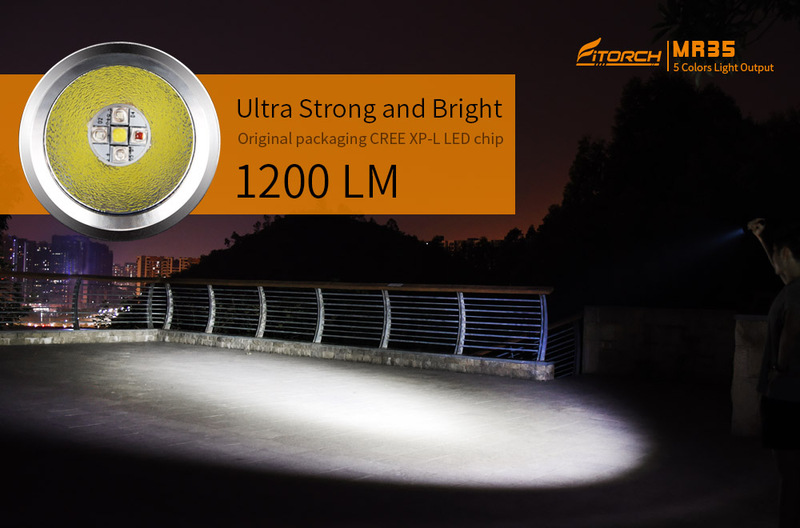 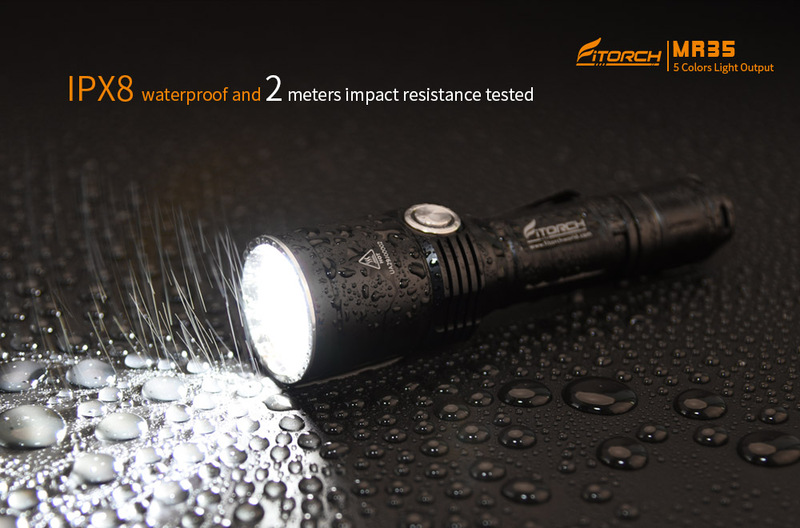 * Maximum output of 1200 ANSI lumens. 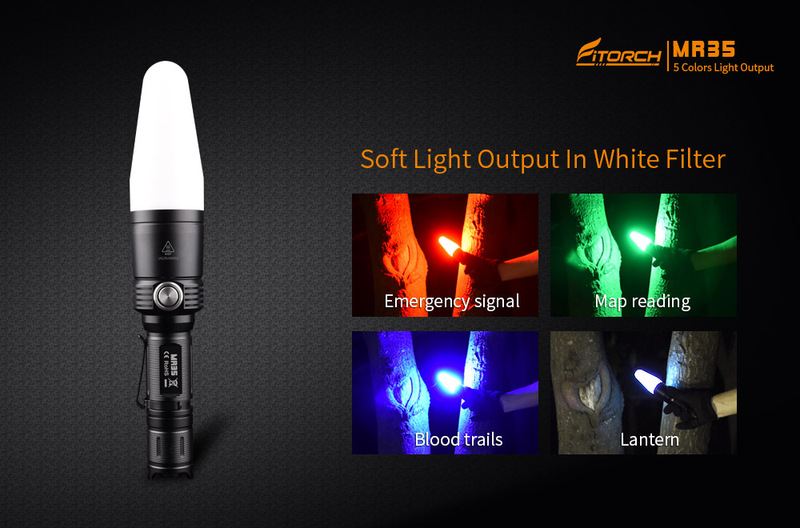 * High, Medium, Low brightness and strobe function. 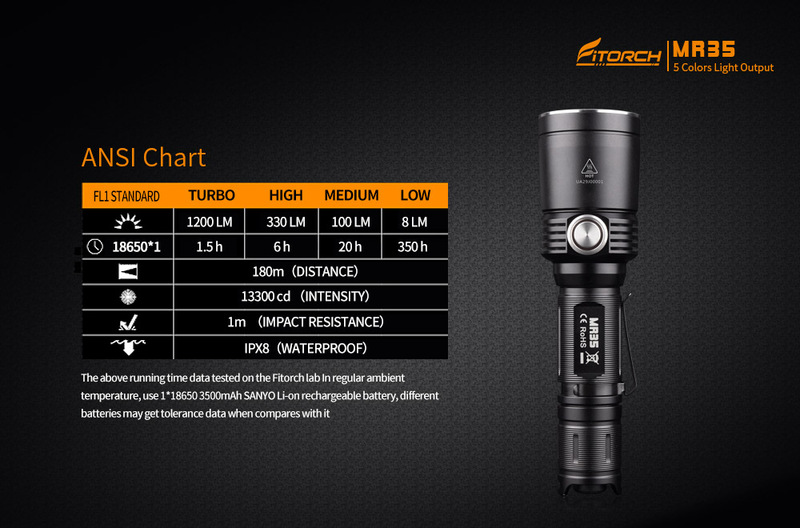 * Human Access Mode Change,Turbo-High-Medium-Low-Medium-Hight-Turbo. 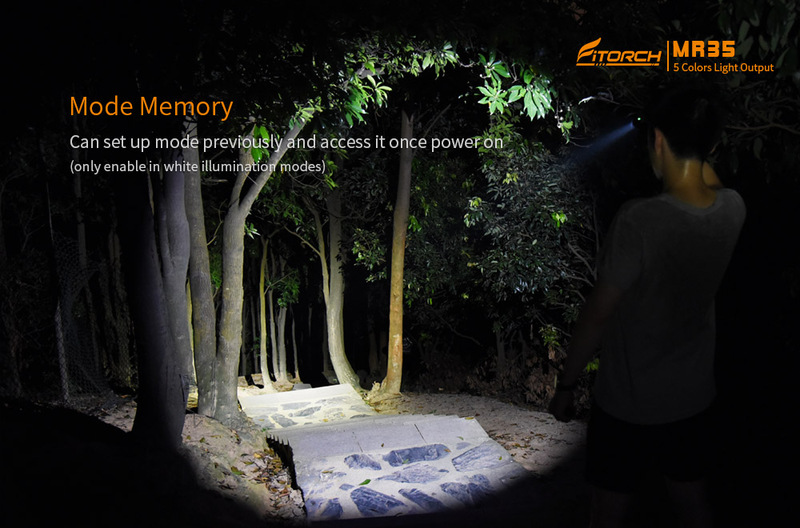 * Mode Memory,Can set up mode previously and access it once power on. 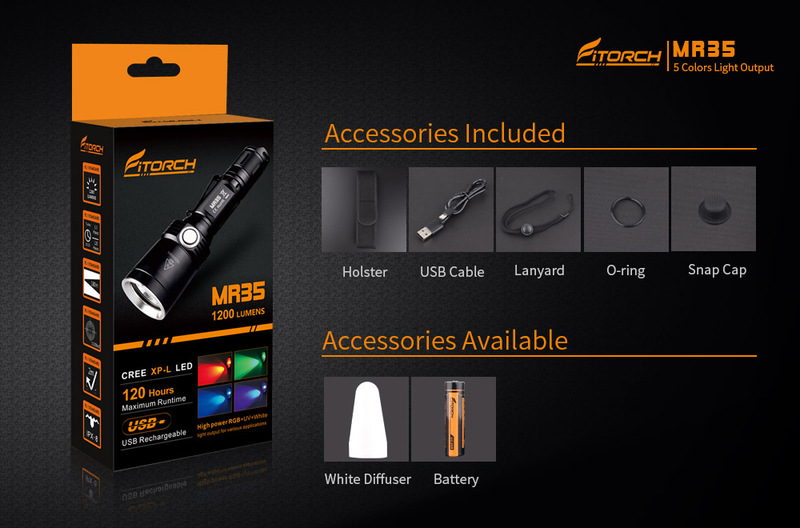 * Removable pocket clip; USB cable, nylon holster and Lanyard included.